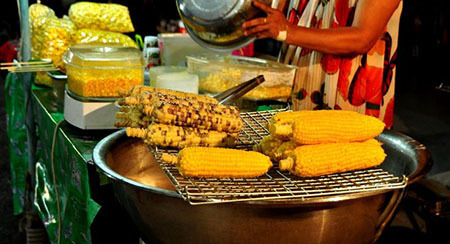 Most night markets commence operations at 5 P.M. in the evening, and last till 11 P.M. 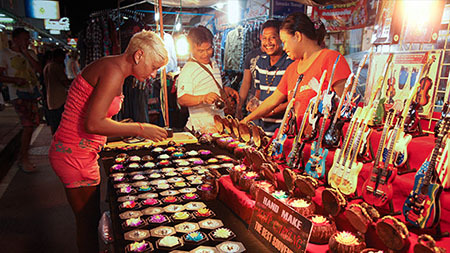 The night markets in Samui are a lively riot of colours, scents, sounds and sights. Jostle with the busy crowds in the more popular night markets, such as Chaweng night market as you make your way down an endless row of stalls selling just about every item imaginable. T-shirts, bags, souvenirs, beverages, meat kebabs, tasty fried insects – yup, you’ll find ’em all here. Chill out at haunts favoured by the locals, like Nathon night market, and soak up its laidback vibes. 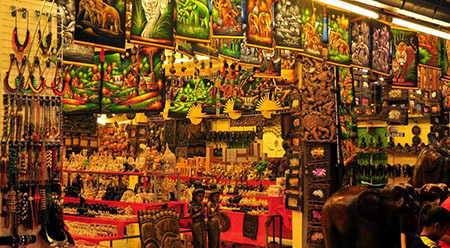 Lively Chaweng night market, filled with endless rows of stalls selling myriad goods, is a shopaholic’s dream come true. This bustling market is known more for its varieties of wares and souvenirs, rather than for street food. You’ll easily find eye-catching teesm sunglasses, “designer” handbags, wood carvings, handmade sculptures, handwoven fabrics and bags when you stroll along the stalls. A night of hunting and bargaining for your shopping loots is pretty hard work, so take a mid-shopping break to cool down with a refreshing beverage of coconut water. Dead quiet on most nights of the week, the streets of Fisherman’s Village comes alive with a busy buzz on Friday nights. Vendors lay out stalls selling a plethora of goods, energetic tunes are being played and whereever you look, a variety of sights and colours compete for your attention. There’s plenty of food to keep you going while you hunt for goods; a walk through the street food stalls provide myriad scents and delectable fare. Tuck heartily into servings of papaya salads, mango sticky rice, coconut pudding and meat satays. If the shopping here isn’t enough, simply head over to browse through the shops at Bophut Plaza. 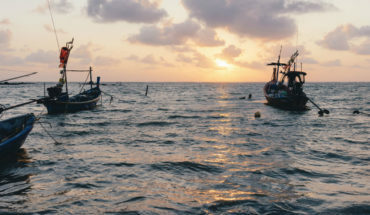 One of the most popular walking street night markets on the island, the Lamai night market draws a crowd with its live entertainment, numerous stalls and countless food vendors. The bustling food section is a foodie paradise, and there’s something for everyone, whether you like your flavours sweet, salty or spicy. Succulent oysters, grilled seafood, Indian fare, Italian food items and kebabs are some of the tasty dishes sold here. Cool down with plenty of coconut ice cream, icy cocktails and iced teas after a feast. The night market at Mae Nam may not be a large-scale affair, but that doesn’t make it any less interesting to explore. Stalls, food vendors and mobile cocktail carts line the streets, providing plenty of options for you to fuel up and stay well hydrated while you shop about. The market throws up some exotic options for adventurous eaters too, so don’t be surprised if you find fried grasshoppers next to your favourite savoury treats at the food stalls. If jostling with eager shoppers isn’t quite your cup of tea, opt for the relaxed crowds and laidback vibes of Nathon night market. Here’s the place to go for affordable bites and authentic tastes. Fans of grilled food will enjoy a fine feast, for just about any kind of skewered dishes – from meat kebabs and seafood items, to vegetarian and exotic, unidentifiable fare – are available at the stalls here.